Could you trust an Estate Agent that doesn’t? Life Investments is not your average estate agents. We are a 5 star Google rated, independent, family-run agency. From our office in the heart of Rugby we provide professional property services throughout Warwickshire, that builds on over 75 years of experience of the local property market. Our services include residential and commercial property sales, lettings and property management, as well as mortgages and conveyancing. Many of our clients come to us through personal recommendation - a testimony to the level of service we provide. We will work hard on your behalf, providing end-to-end support and professional advice with a personal touch. What’s more, because we publish our fees upfront, you can be confident there will be no hidden charges or costly surprises. Life Investments Estate Agency. A Smarter Move. We recently purchased and sold property through Martin at Life Investments. Martin personally dealt with the sale of our house. He was tenacious in getting the deal done, very responsive, hands on and paid attention to detail. All of his efforts paid off and we sold at significantly more (10%) than any other agents had suggested we’d get for our property. - Advice and guidance on negotiations - particularly helpful as we were dealing with an overseas buyer! The entire Life Investments team demonstrated a high level of commitment to their work and were instrumental to a successful outcome! We’ve dealt with several agents in Rugby over the last few years, and would highly recommend Martin and his team. Overall 10/10!! 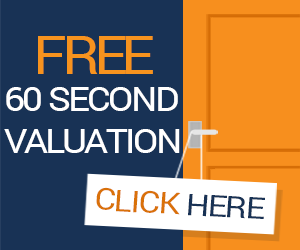 Would you like a FREE no obligation valuation of your property? a valuation of your property.